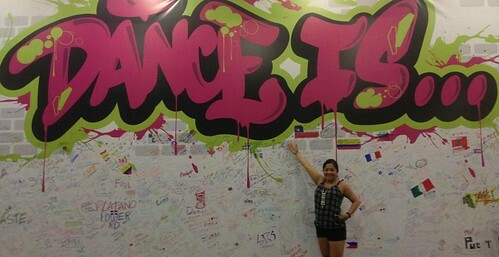 Posted on August 20, 2014 by Ching under Travel, Zumba. 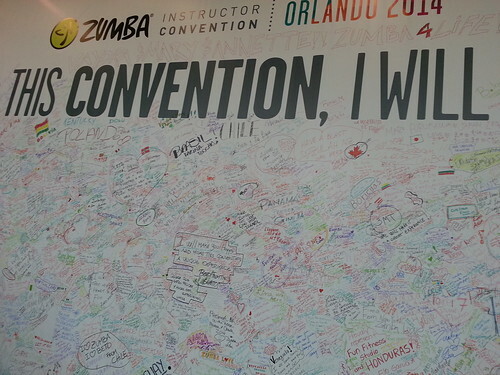 I really had high expectations this year after an amazing Zumba Instructor Conference in 2013. I didn’t think this year’s ZINCON was as cool as last year’s — I mean, last year was amazing, so it would be pretty hard to live up to it — but I still had a ton of fun. There were aspects of ZINCON that were better last year than this year and vice versa. Check in was really smooth this year. I think it’s because they had the desks open for longer hours. Our bags this year were a different style than last year, which is good because I already have two of those one-shoulder backpack bags (one from the 2013 Conference and one from the 2014 Convention). We got a commemorative convention shirt, but the quality of the shirts isn’t as good as last year. Also notably missing were our ZINCON 2014 bracelets. I didn’t really miss those as much as other attendees. I thought the free luggage tag more than made up for the bracelets. I love, love, love my Zumba logo luggage tag. I actually used it on my carry on luggage on the way home. I thought the signage was somewhat scaled down this year. 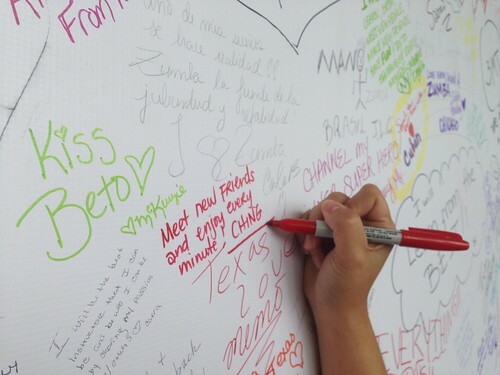 The graffiti walls were a really nice touch, though. There were several throughout the convention center and Hyatt Regency. I wrote several notes. Brian wrote on them too. 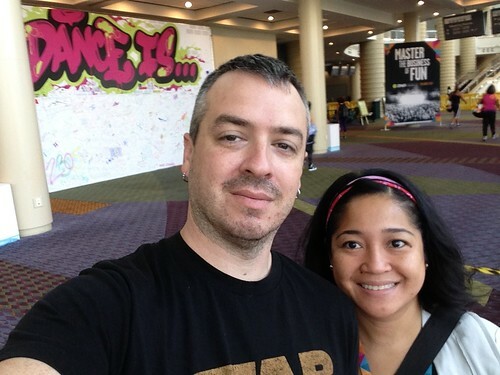 The graffiti walls were great! Totally made up for not having as many of the massive signs all over the convention area. 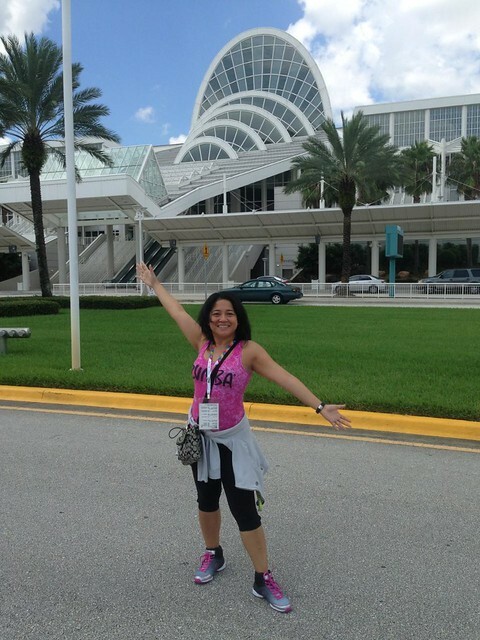 Here’s a picture of me in front of the Orange County Convention Center in Orlando. It is hands down the largest convention center I’ve ever been in. 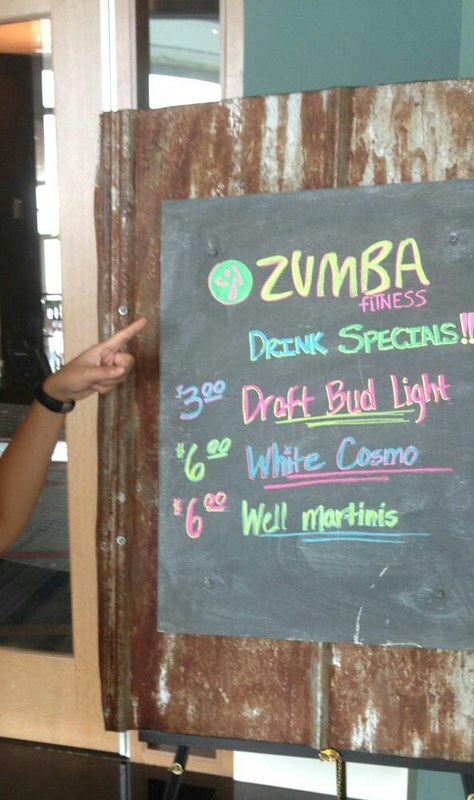 The hotels around the convention center got in on the festivities by having drink specials. Found this board at the Hilton. We didn’t really spend a lot of money on meals (other than our $150 anniversary dinner at The Oceanaire) because we picked up groceries. 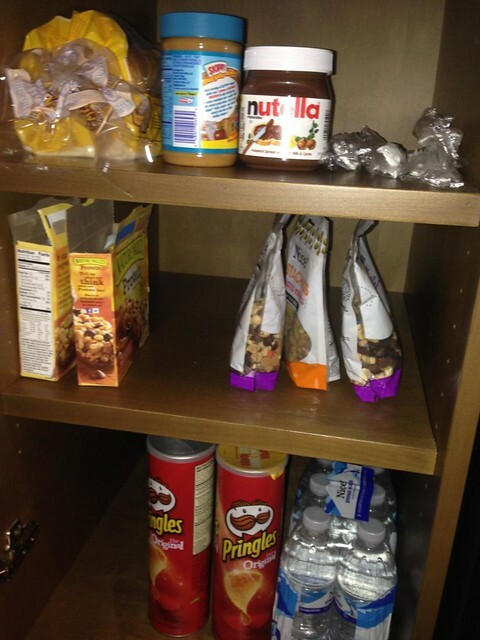 This is what the pantry and fridge of a ZINCON pro looks like. LOL. We were so much more prepared this year compared to last year. It helps to know what to expect. 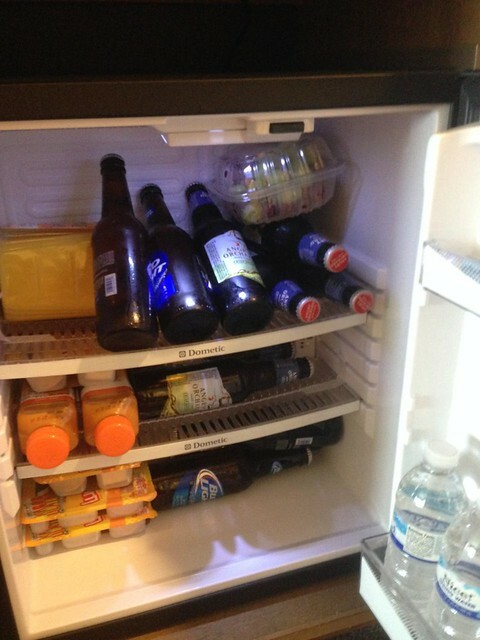 We got wine, beer, and snacks. We didn’t go hungry at all. I also loved all of the flash mobs this year. They were popping up everywhere. 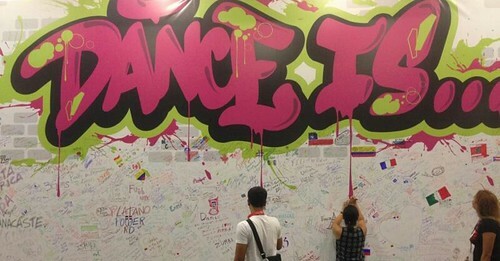 Last year the focus was the Zumba World Party video game demo. 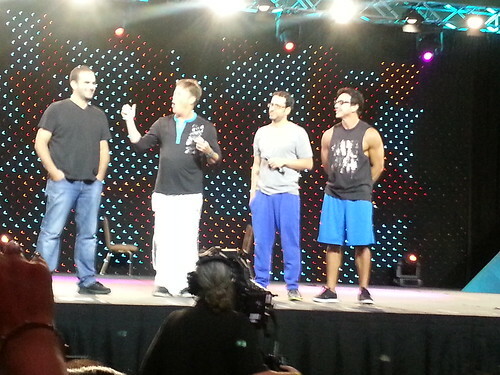 This year they added the ZIN DJ stage which was really a great area for showcasing some talented instructors. The districts really got into it. I loved watching all of their performances. 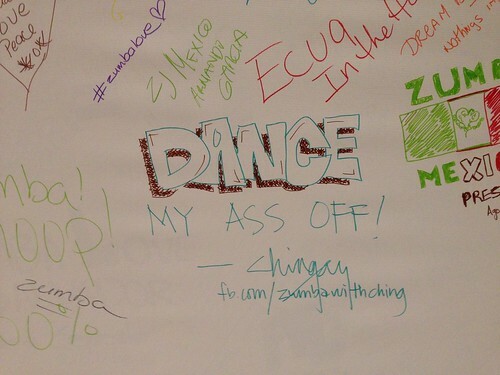 One of the reasons ZINCON 2013 is hard to top is because it was so well-conceived. This year the theme was somewhat all over the place. It wasn’t as cohesive as last year. However, there are so many great things they added this year that we didn’t have last year. For instance, we actually got to see the third Alberto. I thought he was a myth for the longest time. He’s a real person after all. I guess part of the reason that I still think that ZINCON 2013 was the best is because it was my first. Your first is always the most memorable, I guess. However, there were so many awesome things about ZINCON 2014 so I think it’s equally amazing in its own right. 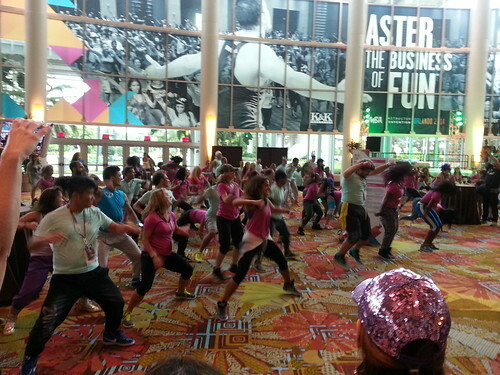 If you’ve never been to a Zumba instructor convention, you have to check it out. There really are no words to describe this event. It has to be experienced in person. Oowa! Oowa!